As a glass food container brand that famous for the quality, you will find Easylock a good supplier worth long-term partnership. 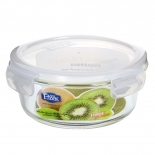 Easylock glass food containers is made of high-borosilicate glass and can put up with temperatures with 400℃. 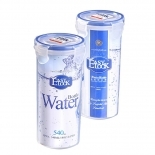 Easylock round glass food storage containers use high-borosilicate glass as the raw material of the base. 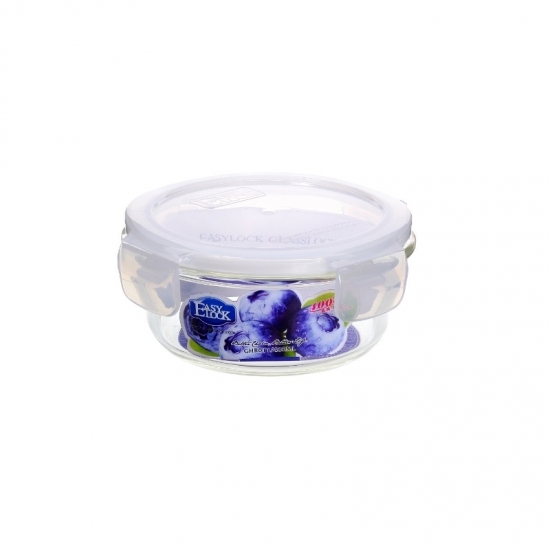 Compared with tempered glass, high-borosilicate glass food containers are heat-resistant. It can withstand 400℃ while tempered glass can only withstand 200℃. 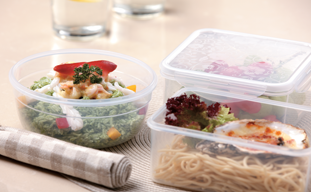 Besides, the PP plastic lids are BPA-free, Phthalate-free and certified by FDA, LFGB and EU. 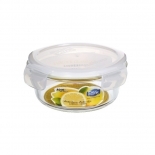 With the 4-side-lock lids on, you can stack up the food containers in freezer, closet or on desktop. It's stackable and suitable for kitchen organize. Leakproof performance is a critical purchase concern of those picnic lover. It will get messy if it is not 100% leakproof. With the silicone sealing gasket on the 4-side-lock gasket, it's 100% leakproof. Please do not use other heating appliances except for oven and microwave. Do not use in oven with direct fire. It's heat resistant glassware and can be used safely in oven and microwave. When using in the oven which has both microwave and bake function, please choose the default one. Please do not put on the lid or use aluminium-foil paper when use in microwave/oven. Please do not heat overtime or heat an empty container. The glass container may be broken when wipe with wet cloth or put in a damp place after heated. 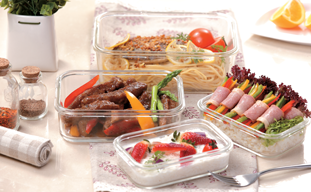 The temperature of glass food container is high, please use gloves when take it from microwave oven. Please do not use on open fire. 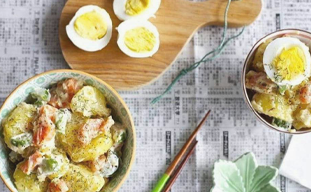 The glass food container might broken if heat for long time after freezing. Do not put freezing food containers in pre-heated oven, or it will break. Unfreeze it to room temperature beforehand. Children should use under the guidance of adults. Glass is fragile and please avoid strong impact to the glass food containers. Do not stack food containers without lid. Put the lid on before stack up glass food containers. Do not wash with stainless steel scourer abrasive sponges or any abrasive cleaners beacause they might make scraches on the glass base which will lead to breakage. Don't filled the glass food containers with washy foods when refridging because volume expansion will lead to breakage. Remove lids when using in oven, microwave and dishwasher. Don't hold the lid only when moving, hold the glass base as well or it might fail on the ground and break. Lid might be dyed by food or remain food odors. You can separate the lid and the silicone gasket to clean it.